Rachel's Nest: Another Mommy/Audrey comparison! Hi and happy Friday everyone! I was just going through some pictures and thought I'd share these with you! I can't believe how fast Audrey is growing. I know everyone always says "it goes by so fast", and I can tell you that is so true! I took this picture of Audrey yesterday, and I can't believe how much she looks like a little girl instead of a baby! We're having family pictures taken tomorrow at the same location as our maternity shoot. I can't wait to get some great shots of Audrey...she's such a ham in front of the camera! I think it will be fun to have pictures of just me and Josh at the location while I was still pregnant, and now ones of us with Audrey. 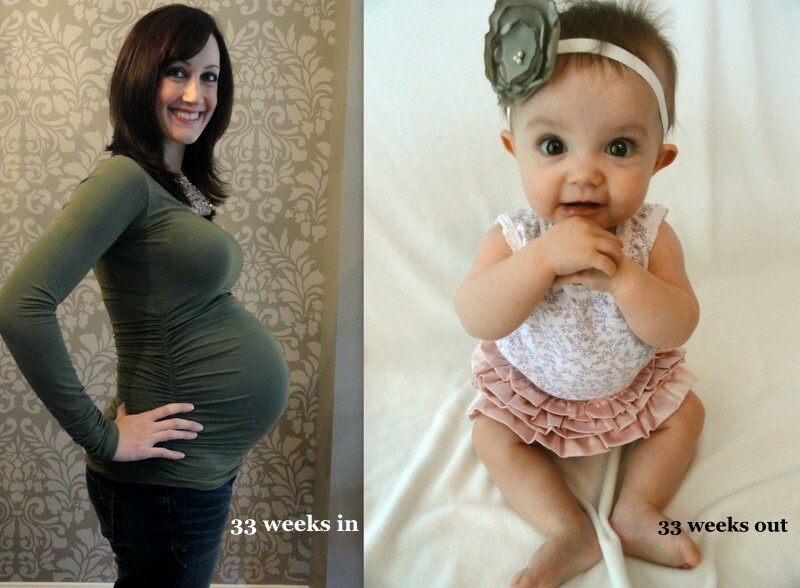 Ironically we had the maternity pictures done when I was 34 weeks along, and Audrey will almost be 34 weeks this time around! Of course, once I get the pictures back, I will share them with you all! I honestly think audrey is one of the cutest babies I have ever seen...and I'm not just saying that...her little face and eyes---too cute! she wins at adorable baby-ness! Josh's Father's Day gift from Lola! Hi from the Outer Banks! Guest post over at The Baloney Bug!